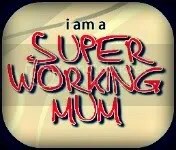 working mum | Call Me Mummy!! Last weekend was a pretty busy weekend, I decided to go for a working mum conference down in London with my sister and it was great fun! Anjie get to hang out with her other favourite person in the world, her daddy, and mummy got to have some me time! It doesn’t get better than that :). But that said, she actually cried when we were at the station…. Glad to know I’d be missed!